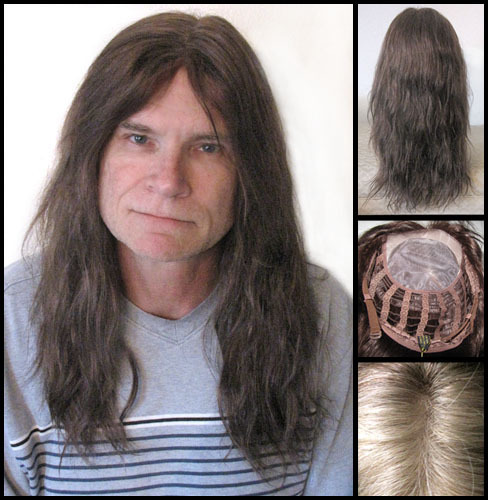 100% Human Hair. 20 inches long at the longest. Front is 7 inches. Shortest layers are 13 inches long. It is a full mono-top for a realistic part. You can part it in the middle, or either side.